Mentorship & Initiation ~ The Toronto Hare Krishna Temple! After having served in ISKCON for sometime, a stage comes in our Krishna conscious journey at which a devotee develops a desire to seek shelter of an ISKCON approved initiating guru to achieve formal initiation. This inspiration may come from various sources such as reading Srila Prabhupada’s books, serving devotees, devotee association and receiving encouragement from initiated devotees or initiating gurus. Also, more often than not, devotees need guidance and support from a more experienced devotee and a nurturing and caring environment as they endeavour to progress on the path of their devotional practices and try to maintain. Here at ISKCON Toronto, an Initiations Committee consisting of Rupanuga das, Jagannath Misra das and Krishnadas Kaviraj das and has been put in place with the mandate to develop and manage a mentorship system. This system will facilitate and nurture interested devotees aspiring for first and second initiation. 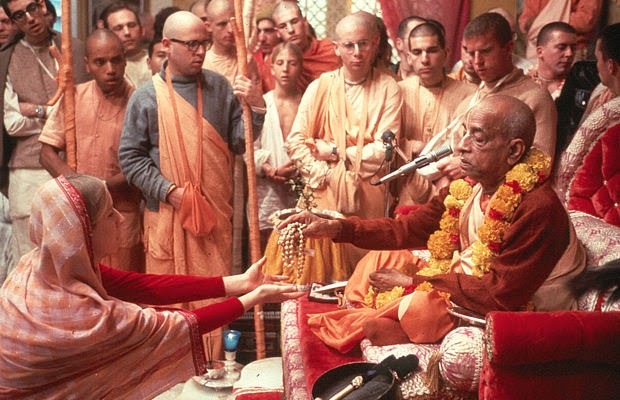 The Initiations Committee has also developed an initiations policy to help aspiring candidates prepare themselves better to seek initiation from an ISKCON guru. We hope you will find it informative and fair. Please note that registration in the Mentorship System is now a mandatory requirement for all initiation requests at ISKCON Toronto.